Ever wanted to know when your apartment building was built? What about your office? Or the building your dog walker/dry cleaner/ex-girlfriend's new boyfriend lives in? Those are normal curiosities, right? 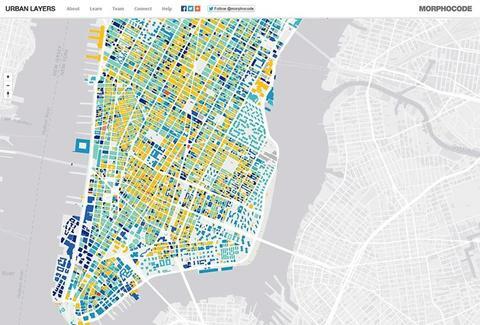 Well, even if they're not, you can still look 'em up anyway thanks to Morphocode, which just launched an awesome mapping tool dubbed Urban Layers that lets you interact with the history of NYC's buildings. Just drag the marker to choose your year parameters, and the map will show you every building that was erected during that time. Lucy Meilus is an Editorial Assistant at Thrillist and accidentally took three History of New York classes in college. Follow her on Twitter.